Summer Music and Working on the Trio of Talents- Why is Summer a Good Time? Now that Spring Break is upon us, we are all starting the think about the next big milestone, SUMMER! What is your child going to do during the summer months? It is a great time to work on your singing or any of the trio of talents! Sign up to take voice lessons or a Musical Theater Singing Series, audition for a summer production, pick up dance or acting lessons. - You or your child have a little more free time (school is out or you have summer hours). - There is more time to schedule something that might not fit into your school year. - There is more time to practice. - It can give structure to an otherwise unstructured time. -It will keep you motivated to work on your goals. - Many summer opportunities combine singing, acting, and dancing with an emphasis on one of the three. - You can pick up something new or something that you know you need to work on. (ie you are a dancer who know she needs to sing better in order to get the lead in the next musical). - Summer programs are often an intensive concentration on a subject. - It builds your confidence as a performer and a person. Give it some serious thought and sign up for something now! Find out more about summer music programs, especially those that focus on developing your individual talents. Happy Singing! Take care of your body, it is your instrument as a singer! As the spring rapidly creeps in, so too do the problems of allergies (thank you budding trees and flowers) and colds (thank you germs and fluctuating temperatures). It is so important to take care of your body as a singer at the first sign of a sniffle. You can stop it from getting worse with some preventive measures. It may be allergies. If you are prone to spring allergies due to the budding trees, flowers, and fresh cut grass, start taking your allergy medicine. Wash your hair before you go to bed or regularly change your pillowcases so you don't sleep in the allergens. It could also be the start of a cold. If it has been going on for a few days, it may have started as allergies and gone to a cold. Go to bed earlier and drink some more O.J. You may be feeling some stress in the full swing of school, rehearsals, and start of spring sports! Stop and pay attention! The best thing you can do is respond to what your body is telling you! What are some specifics? 3. SLEEP at least 8 hours every night! 9. Pay attention to your body signals. If it doesn't feel good, don't do it! 10. Find time for a little relaxation and de-stressing time! Your body knows what it is saying. If you take care of it and listen to it, you can make it through the allergies and stress and not get sick thus preserving your wonderful singing voice! Keep singing! Musical Performance Anxiety and How to Overcome it! Musical Performance Anxiety and How to Overcome it! Accomplish that Goal. Performance Anxiety: It is a high emotion this time of year as many of us prepare for performances in schools for musical theater productions and auditions. Maybe you have never been the lead role before or are nervous about that duet you have. Maybe you have an audition coming up for a solo in the spring concert or a voice competition. You or your student is very nervous about the upcoming performance. Memory lapses are happening, technique is suffering, music and the enjoyment of it stops. How do you deal with this? How can you control it and turn anxiety into performance excitement? Try to identify what is the problem. What happens to you physically, emotionally, and mentally? Take the time to recognize when performance anxiety really hits you. What happens to your body? What is your brain saying to you? Then talk it through with your voice teacher. Physical: Do you get butterflies or actually feel like you are going to faint? Take a deep breath and relax. Work backwards a little bit first. When does it happen? Only at the actual performance or even when you are just thinking about a lesson? Are you nervous about not knowing all of the notes and words or is it more than that? Emotionally: How do you feel emotionally? Are you scared? Are you excited with a little anxiety? Get a feeling on what your emotions really are. Mentally: Are you psyching yourself out even though you are prepared? Do you fear what you can do is not good enough? Think about how you can improve your mental state and empower yourself with positive thought. In preparation, learn the piece thoroughly. Know the notes, rhythms, words, meaning of the text. Just learn it without the concept of performing it. If you get worked up for the first couple of days, walk away and come back. Identify what frustrated you and get help from your teacher. The second week if you get worked up, force yourself to ‘get back on the horse’ and keep going. Your teacher can help you with this. Have patience with yourself. Once you know the nuts and bolts of the piece, put yourself into the character of the song. Paint the picture of the scene you are describing in your head or imagine you are truly telling your love of your commitment. Connect to the meaning of the piece and put yourself in the scene you create. Try to forget that anyone else is out there listening. You are that person. The more you connect with the text, the more your body and your mind may just remember what to do and you create beautiful music. If it is not working, to calm you down, explore yoga poses and deep breathing. Center yourself with a few yoga poses such as Tree Pose and Mediation Pose. Visit a blog on yoga. Pull together your resources above and identify if your anxiety is more physical, emotional, or mental and approach it from that angle. Regroup and give it a try. YOU GOT THIS!! Rehearsals, Rehearsals, How Do I Keep Up with Practicing and Singing So Much? In the crazy times of many, many rehearsals, how do you keep up your good vocal health and make time for your own practicing? Many of us start to feel overloaded at this time of year. Rehearsals for the school (or community) musical are in full swing, you have rehearsals for choir, and All Catholic or District Choir music on top of that. How do you get it all done with your school or work load? It is essential to be organized and healthy! 3. Plan out what you will do each day and stick to it!! Make sure to include time for relaxing or working out to keep your brain and body in check. Some days will be easier than others to stick to your plan. You may run over a little bit in different categories, but if you stick close to it, you will get it all done! Put that phone and anything with social media attached to it in another room! If you have time after all is done, then is your time to interact. You worked hard all week, take a break or using singing as a fun break! Paint a picture, go out with friends. Have a busy weekend? Get a head-start on planning out what you need to accomplish next week. Not too much going on over the weekend, make a plan to get ahead on work for next week! - Make time for free time/relaxation (especially some without technology)! With a little planning, there is time to make everything happen and to feel good about it all! Sick but Singing? "Ah the Joys of Singing in Winter"
Sick but Singing? "Ah, the Joys of Singing in Winter....."
The winter season is filled with singing, concerts, and shows. What do you do if you find yourself sick? Despite our best efforts to stay healthy, sometimes we do catch that cold. Take care of yourself physically. Get extra sleep, drink lots of water, wash your hands, take extra vitamin C, stay warm, avoid talking if you don't need to. Do anything that will support your immune system and get you better. Take care of yourself mentally. Think about what you can and cannot do about the situation and get a little mental R & R. Don't go overboard with the ramifications, just make a plan. Take some time to take an unemotional and honest look at how the sickness is affecting your voice. Sore throats often lead to a raised larynx and reduce vocal power and resonance. Swelling of the mucous membranes absorb some of your sound and affect your resonance. If the cold has gone to your chest, it may impact your ability to rapidly fill your lungs for good breath support. General aches can impair your endurance. Figure out how this illness if affecting your singing. After you do this, make rational adjustments. Reduce your expectations a little bit. You may not sound as you usually do. Maybe that high C is not going to be as loud as you know it can be, maybe you need to add a few breaths into phrasing to help you, maybe you need to increase your support or warm up for more time than usual. It is best to get through a performance by singing on cue and in tune than worry about subtle changes. Showing up and showing professionalism is part of a singer's life and everyone will understand. In the meantime do your best to relieve your symptoms and get better so you can do your best on that day! Remind yourself that you will wake up again tomorrow and the next time you sing you will be well and astound everyone! 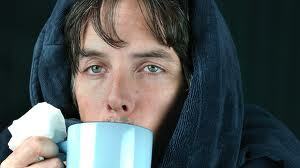 Many singing greats have had to make the show go on and admit they learned something from singing with a cold. Opera singer, Renee Fleming, states in her autobiography that she truly learned to sing when she was sick. She could no longer cheat on my technique and get away with it, she had to listen to her body and trust her technique to get her through. This is not encouraging you to sing if you are very sick or if your throat hurts, but a means to help you get through it when you need to. Of course, the ideal would be to take care of yourself to the point that you never get sick (but let's be realistic, we do), but be smart if the show must go on. -Make a realistic appraisal of whether you really need to sing or can cancel. Stay healthy and smart about your singing! New Year's Resolutions 2019 for Singers Only! 1. Make a schedule of practicing and stick to it! 2. Pick a focus for each practice session. 3. Set goals for singing for myself (and my students). 4. Make a timeline to achieve those goals. 5. Sing just for the sake of singing a few times a week. 6. Workout (cardio and/or yoga) 3-5 times per week. Do what suits you and your mind. 7. Drink lots of water and try to get 8 hours of sleep per night. 8. Take 10 minutes a day (or more if you can) to do something for yourself. 9. Tell people in your life how much they mean to you and take the time to say "Thank you" or "I love you." 10. Breathe when it seems too much and regroup. It will all work out. This may seem like a long list. They are little attainable goals. I think I can make them work. Take what you like, disregard what you do not. Regardless, do your best to make 2019 a happy, prosperous, and wonderful year! Holiday and Performance Stress! Take Care of Yourself and Enjoy the Season! The holiday season is upon us and what a whirlwind it is for musicians. Singers are often extremely affected as stress often lowers our immune systems defenses and our instrument doesn't work as well when it is sick! Taking care of ourselves from the onset of the season can be so effective! 5. Limit Your Time Socially (and on Social Media) to help you manage your time to sleep and practice! You don't have to do all that you are invited to do especially if you have a lot of performing to do! 7. Enjoy your holidays, and try not stress about who needs what! Happy Holidays to All! Whether you celebrate Christmas, Hanukkah, Kwanza, or just enjoy Santa Claus, 'tis the season of joy and happiness! I hope you take the time to enjoy all the wonders of the season. Take a moment and forget about the stresses of shopping, decorating, cooking, party going, and think about your favorite moments of this holiday season......What are they? Mine are definitely the music of the season from the concerts I sing in, attend, or hear on the radio, followed by baking cookies with the kids, and seeing the Christmas tree lit up at night. There are so many warm moments with family and friends that remind us of how lucky we are to have them and all of the comforts they bring us. I am promising myself this year to take a moment every day to enjoy the wonders of the season. Just to observe them from the back seat or sing my favorite Christmas song or play some carols on the piano because I feel like it. It helps to enjoy the season and keep happiness around us. What can you do to keep the holiday spirit? Share the beauty of the season from your perspective with another today. Share a gift that was given to you as a person. Whether it be through music, baking, making a craft for someone, or just sharing a hug, give to someone else. You will receive warmth back for your kindness and feel good because of it. In the spirit of the season of these holidays, we remember and celebrate many things. Most of all, make it love, friendship, and peace. Enjoy the season and tune in for 2019 Blogs!